The All New HTC One+ 2 isn't expected to make an appearance at Mobile World Congress, but that doesn't mean HTC doesn't have things to share. 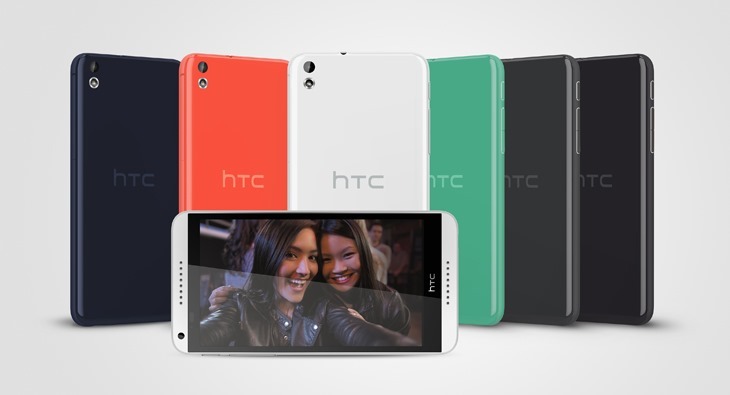 The company just held a press event where it unveiled a new midrange device, the Desire 816. This handset comes with a 1.6GHz quad-core Qualcomm Snapdragon 400 processor, a 5.5-inch display, 1.5 GB of RAM, 2600mAh battery, 8GB of storage, and a microSD card slot. The phone has a 5MP camera on the front and a 13MP shooter on the back. It will launch in China next month and head out to other countries starting in April. 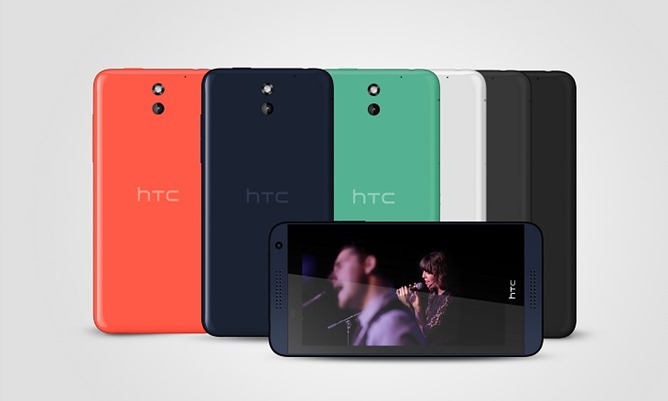 The Desire 816 is joined by the 610, announced separately from the event via a press release. This smaller handset has a 1.2GHz quad-core Qualcomm Snapdragon 400 processor, a 4.7-inch display, 1 GB of RAM, 2040mAh battery, 8GB of storage, and a microSD card slot. Its front-facing camera falls down to 1.3MP, while it's rear-facing one is 8MP. The handset is scheduled to hit Europe sometime in May. These devices both show a lack of capacitive keys, suggesting on-screen buttons. They also come with BlinkFeed and dual-frontal speakers with BoomSound, so expect these to provide a One-like experience at a fraction of the cost once they're available. At the event, HTC also announced its new Power To Give initiative, which will allow users to volunteer a bit of their smartphone's computational power to good causes. When your device is charging, connected to WiFi, and your battery is over 90 percent, you can allow it to download small bits of data, process it, and upload it back to a server. Your device will assist projects related to cancer, AIDs, and clean water research. The app will work with the HTC One series, Butterfly, and Butterfly s, along with select other devices such as the Galaxy S4, even though that phone can already use Samsung's own Power Sleep app. The company asserts that a million HTC One handsets running the app can generate nearly a petaflop of computational power. Look for the app, along with pricing information for the Desire 816 and 610, to show up soon enough. Update: You can now find the app in the Play Store below.